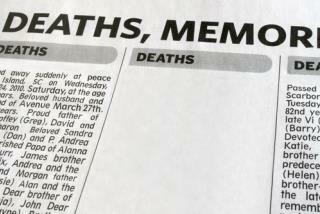 (Newser) – The latest man to write his own obituary kept things about as short as possible: It read simply, "I am dead." Swedish 92-year-old Stig Kernell gave his funeral home instructions before he died on April 6, and the funeral home followed through, publishing the 3-word obituary in two newspapers on Saturday. But the short-and-sweet obit made headlines, The Local reports, leading newspapers to publish a few more details of Kernell's life—and ultimately leading Kernell's sons to write up a more traditional, longer obituary. He died the way he lived: with an extremely limited vocabulary. How to ruin the old dude's final joke: Over explain & examine it.